Fall is here and I am leaping with joy! This truly is my favorite time of the year. Back home in California, fall was usually designated by when Trader Joe’s started stocking their plethora of seasonal pumpkin-related items. So when I experienced my first Midwestern fall last year- the colorful changing leaves, the crisp air, the being able to wear sweaters without sweating (I sweat way too much in California trying to make it feel like fall), the picking of apples and pumpkins, and then the fallen leaves that completely cover the ground, leading to lots of satisfying leaf-crunching when walking- it was like, all the heart eyed emojis. 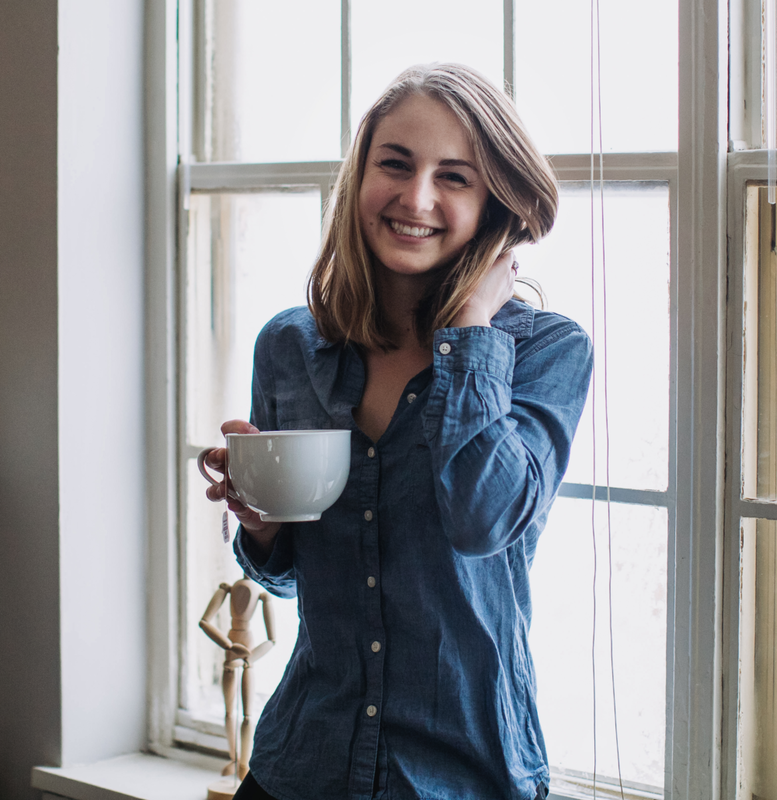 One of my favorite fall time activities is grabbing a chai latte from Nina’s Coffee Café and strolling along the tree lined Summit Avenue – the longest line of Victorian mansions in the country. 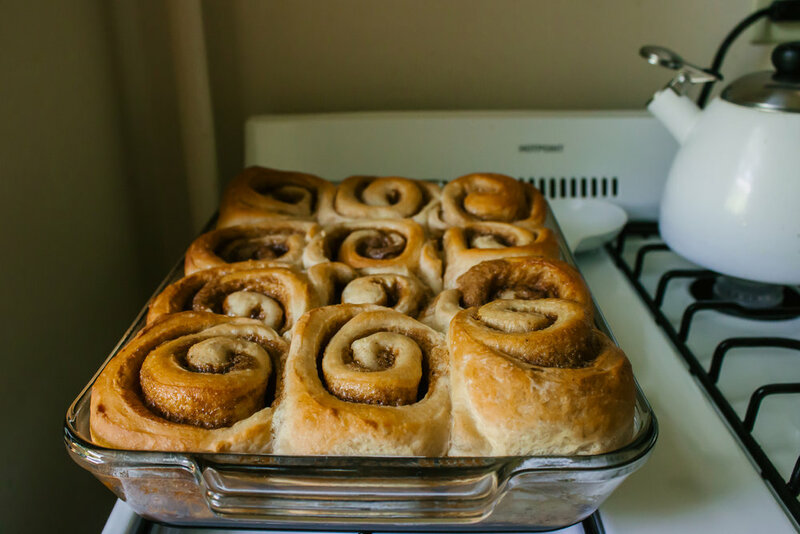 And that, is where my inspiration originated for these Dirty Chai Cinnamon Rolls! I was recently asked if homemade cinnamon rolls are worth it. Are they worth the extra time? Are they that much better than store bought? YES. A thousand times yes. Well at least that’s what I think. 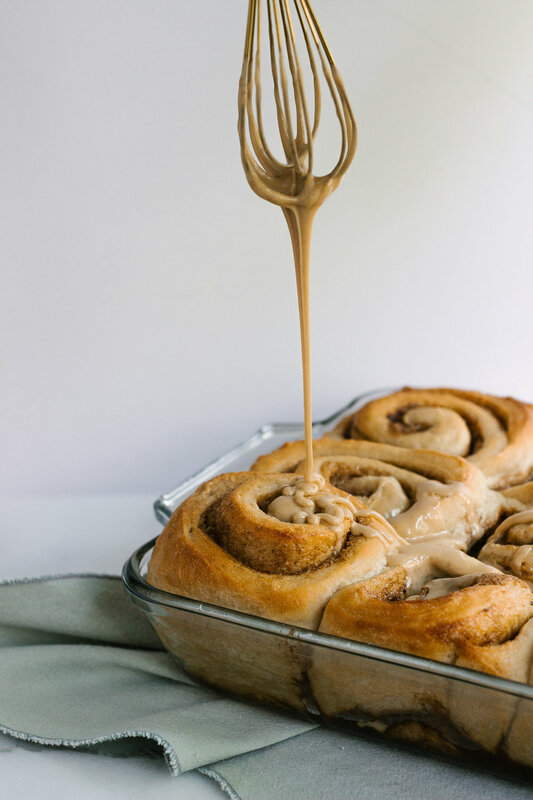 There is just something so satisfying in seeing the dough rise – and knowing “hey I’m doing it right!” And when you take that first bite of warm, gooey cinnamon roll, you will just melt into a pile of goodness. Ok, so maybe I’m being a tad dramatic but I’m trying to make a point here! 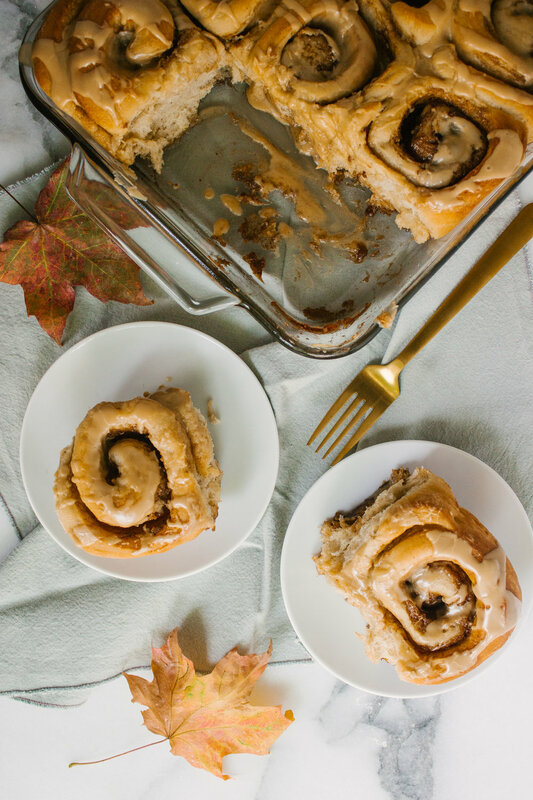 These cinnamon rolls are perfect for brunches, birthday mornings, or simply just to enjoy on a cool Autumn morning. The classic Chai flavors are infused both in the dough as well as the filling. And if you are not well versed in the coffee world, don’t let the “dirty” part of the name deter you. 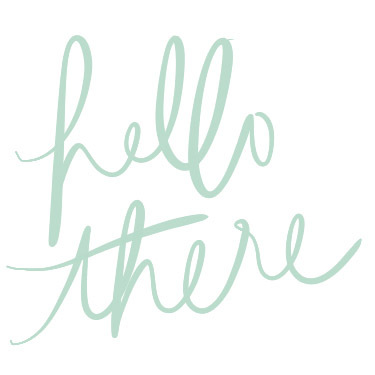 A dirty chai latte is simply a chai latte with a shot of espresso! Depending on where you fall on the coffee-liking scale from 0 to Lorelei Gilmore you can omit or increase the amount of instant coffee/espresso in the icing. Like all recipes, you want to read the entire recipe before beginning because you will find an overnight step in this recipe. 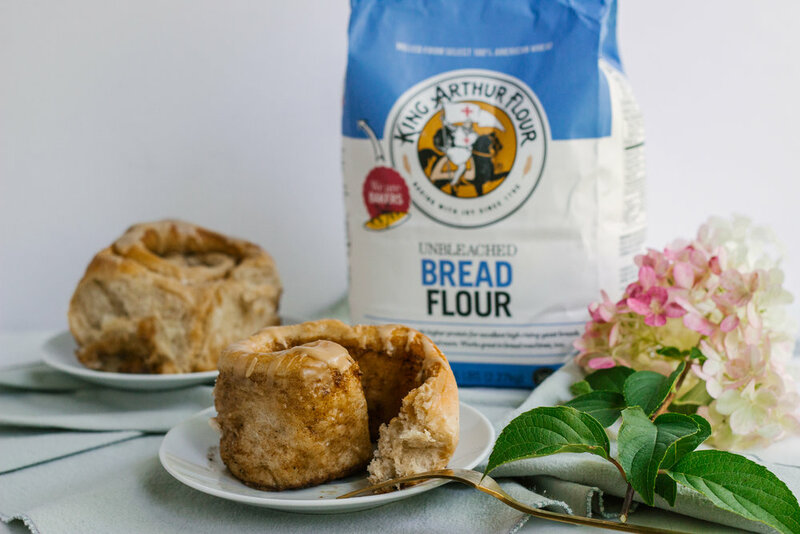 Letting the dough do the majority of the rising overnight will reduce the amount of prep time the next morning – aka you will get to eat these delicious rolls sooner! 7. Generously butter a large bowl, and transfer the dough to the bowl. Cover with a damp towel, and move to a warm place. Let rise for 1-2 hours, until the dough is double in size. Punch down the dough, and knead briefly. Cover with plastic wrap, and refrigerate overnight. 8. The next morning, make the filling. 10. Butter a 9”x13” pan. Roll out the dough onto a floured surface to a 12”x20” rectangle with 1/3” thickness. Evenly spread the filling on top of the dough, making sure to cover to the edge. 11. 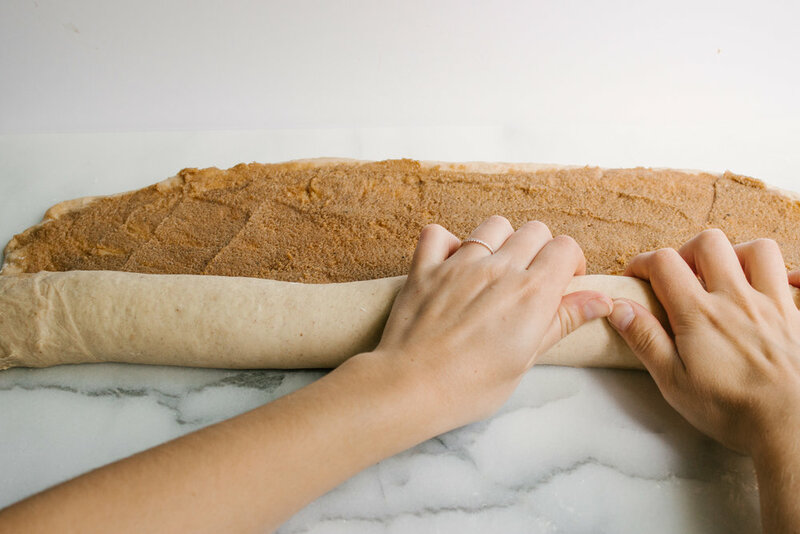 To roll the dough, begin by pinching the edges of the long side. Tightly roll the dough. 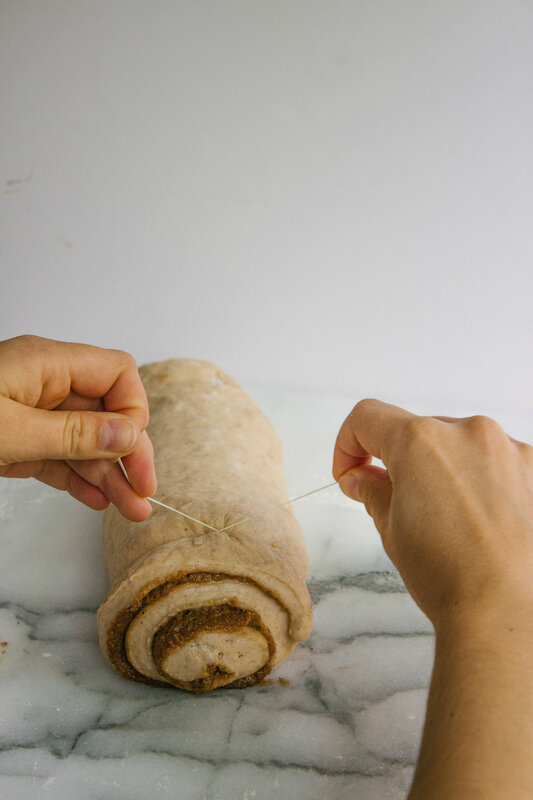 To cut the dough, take a string of floss, wrap it around the section of the roll you want to cut, criss-crossing the floss at the top, and pulling until the floss cuts through the dough. Cut 12 equal pieces. 12. Place the rolls in the prepared pan. Cover with plastic wrap, and let rise for 45 minutes, until double in size. While the rolls are rising, preheat oven to 375F. 13. 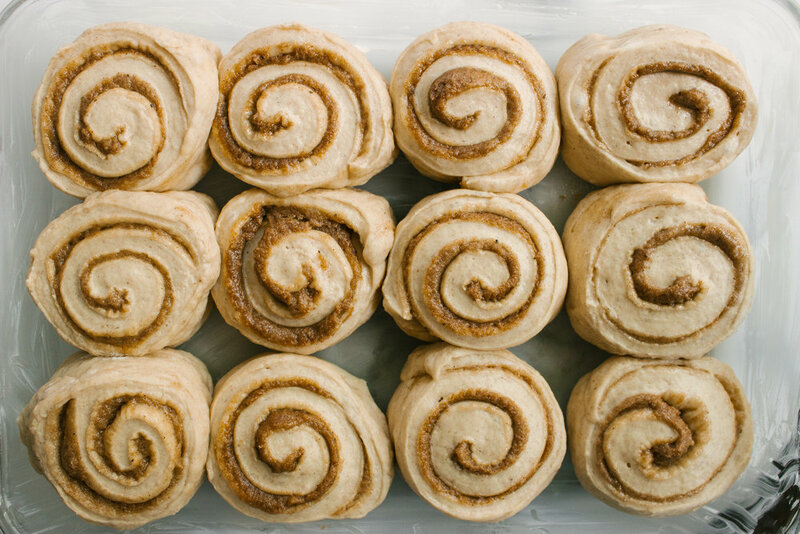 Bake the cinnamon rolls for 30 minutes, until golden brown. Remove from oven, and let cool on a wire rack, for at least 10 - 15 minutes before glazing. While cooling, make the glaze. 15. 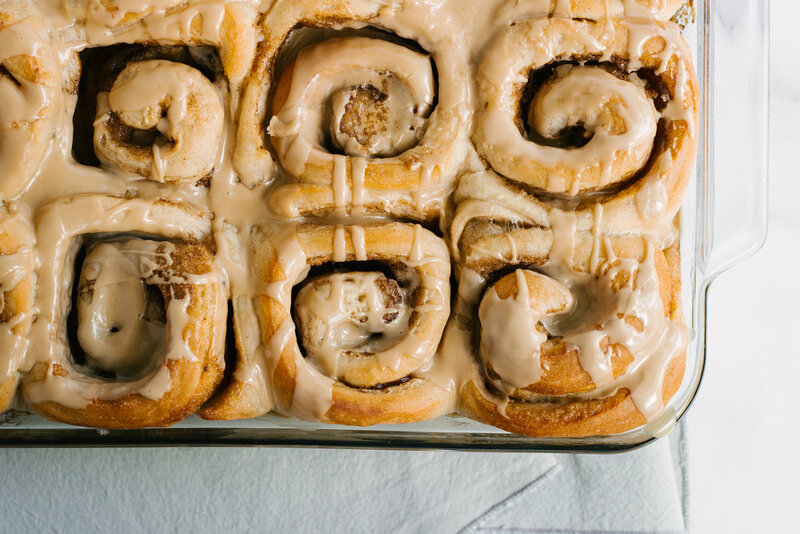 Top cinnamon rolls with glaze.